- 지성모발을 위한 샴푸 제품으로 가볍고 빠르게 모발에 침투하여 오일리한 헤어, 문제성 두피에 효과적인 제품입니다. - 레몬향 티트리 오일은 전통 티트리 성분으로 레몬향이 나는 티트리 오일입니다. - 에코 하베스트 티트리 오일은 호주의 고급 티트리오일로 나쁜균을 관리하는데 좋습니다. - 유기농 호호바 씨 오일은 빠르게 모발에 흡수되어 발란스를 맞추어 주고 건강한 헤어로 가꾸어 줍니다. - 샴푸시 손바닥에 적당량을 덜어 거품을 충분히 낸 뒤 두피와 모발에 부드럽게 마사지 한 후 미온수로 골고루 헹구어 냅니다. - 레몬티트리 컨디셔너와 함께 사용하면 좋습니다. 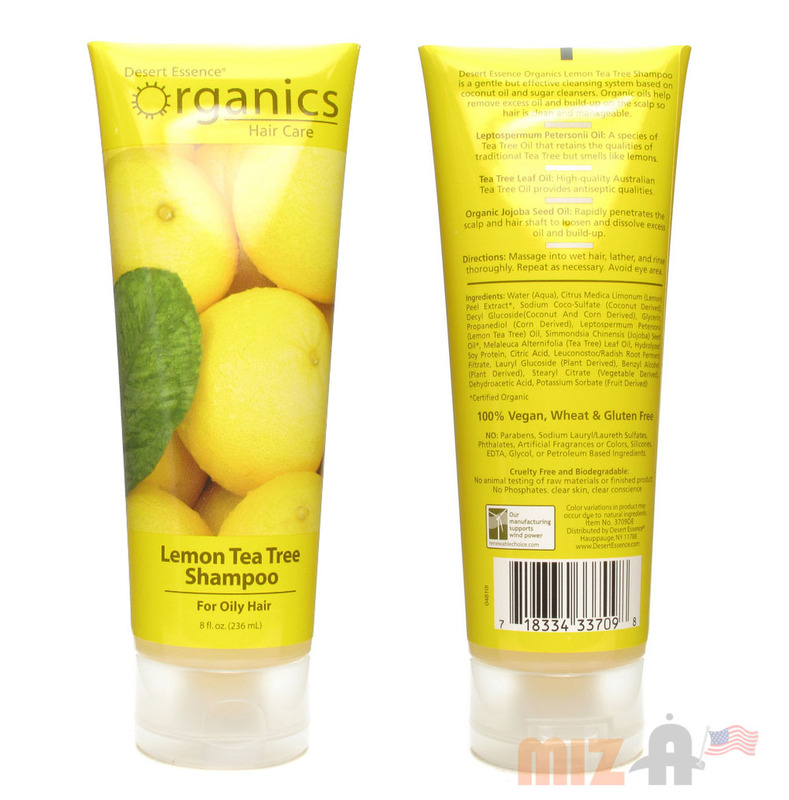 Remove excess oil and product build up with Desert Essence Organics Lemon Tea Tree Shampoo. Contains lemon tea tree oil and lemon peel extract to loosen and dissolve excess oil. Contains organic maca root extract known to strengthen and protect hair. With regular use, hair is soft, smooth and more manageable. glycol or petroleum based ingredients, phosphates, cruelty, and animal testing of raw materials or finished product. After wetting hair, massage a small amount in to create lather. Rinse well. Repeat as necessary.